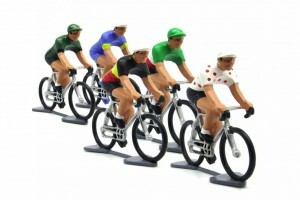 It is widely acknowledged in the sport of cycling that the role of the Handicapper is a thankless job. Their every decision is scrutinised both before and after the event by the primadonnas in pixie shoes. The spandex clad are only ever happy with their mark if they win. Lose…well, the first person to blame is the Handicapper. With all that said, you would think that the Handicapper would try to do a better job of their craft! 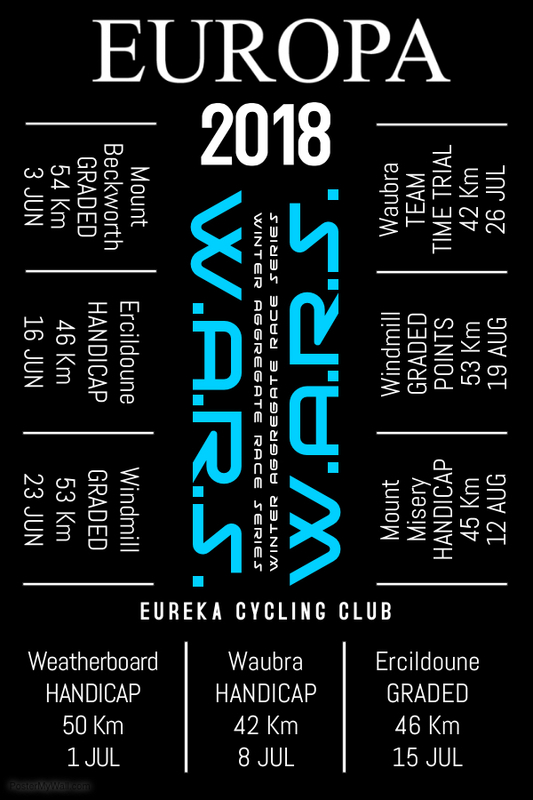 Just a dozen riders signed on for the 50 kilometre handicap race on the Weatherboard circuit. Numbers down for multiple reasons such as holidays and illness. The circuit also demanded four corner marshals – which takes a toll on the number of riders available. Dry, cool and overcast conditions, with a fair south wind made choosing what layers to wear difficult. Rain never came, however it seemed likely nearly all day long. Terry Collie didn’t make it to the start line today. He ran out of time to get prepared and then couldn’t muster the speed into the headwind to make it to the start line on time. So, the 13 minute group somehow became the 18 minute group and were sent off instead. Bob Morley (stand in Handicapper and subject of our mirth) went out as Road Captain with Dan Whelan, Roger McMillan and a rare visitor in Richard Kennedy. McMillan played the tiniest of cameos before bidding adieu. The other three rolled on with Kennedy assuming the lead and the other two hanging on. Fourteen long minutes later, the second scratch group rode away. Just the three – Dean Wells, Grant Dawson and Jeremy Humber. Their four minute gap to the Scratch group seemed tiny… Wells immediately into time trial mode – how often do we race up the Avenue with a tailwind? Dawson almost dropped and Humber immediately into survival mode. Greg Ley commanded Scratch today, with Rob Ellis, Craig Lee and Jason Hendry as his faithful lieutenants. They rolled out from the start at the same time as Limit came through on their first lap. It is fair to say that Bob knew immediately that there had been a problem! Scratch went straight into swapping turns. They couldn’t win, but they could at least catch the bunch ahead. For their part, the 4 minute group had Dawson and Wells swapping turns. Humber was still hurting from his race the day before and he was out by the end of the first lap. The other two were evenly matched today and worked well right around the circuit. The leaders were miles ahead, literally. Morley was wondering what apt nickname he could annoint the super strong Kennedy with. Whelan was itching to have a go on the front, however he couldn’t get past Kennedy, so the status quo remained and the trio only lost metres to the chasers, rather than minutes. Back in Scratch and they could see the four minute group ahead. Slowly they chipped away at the gap. Hendry impressing his newfound Scratch cohorts! They swept up McMillan who was audacious enough to even do a turn! Out of the Avenue for the final time and Hendry lost a wheel and was lost to the bunch as the gap quickly grew. Way up ahead the leader was still towing Morley and Whelan around. They swung onto Hendersons Road and lined up the hill for the final time. Kennedy took a brief moment to run his eyes over the two guys who had been tailing him, thinking to himself “I’ve got the old bloke who looks like Fidel Castro covered”, “Reckon I might have a gravity advantage on the other bloke”. That is exactly as it played out. Kennedy ramped the pace up before they even got to the hill, then half way up he just rode away leaving Whelan and Morley to fight over the scraps. In no surprise, Morley collected the second placing. The chase group was still fighting the wind as they crested Weatherboard for the final time. Down to the chicane and RED flag at the last moment, then whoosh! The vehicle was flying and caught the marshal unawares. Lee was on the brakes in time and calamity was avoided, but damn that was close! The run to the finish saw Ellis, Ley and Lee rotating. Wells and Dawson both sitting back knowing that fourth and fifth placings were up for grabs. Hendersons Road and Ley tried to get away. Ellis closed it down, with the rest on his wheel. To the hill and Wells attacked just before halfway up, he had a few lengths gap over the top. Ellis responded, but his legs didn’t. Lee was always going to be the danger and he was also racing for Fastest Time. He loomed up, sprinted and turned off before hitting the line. He also had his nickname for Kennedy – The Bandit. Thank you to the club members and friends who volunteered their time in the afternoon to help the club host the cycling events for the 2018 Victoria Teachers Games. 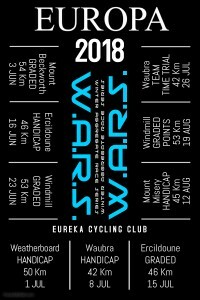 Twenty four riders over five categories raced on the Weatherboard circuit. The wind made for difficult conditions, however every rider completed their race. Local teaching identities Ash Burke and Andrew Read collected silver and bronze medals respectively in the Male 35-49 category. The Female 20-34 race saw Malory Cain and Tamaryn Stevens both collect medals for the second year running. Spring is here! Why doesn’t my heart go dancing? Spring is here! Why isn’t the waltz entrancing? 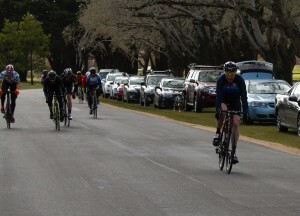 Overnight snow did little to smother the enthusiasm of the 25 riders that assembled for round 1 of the Oscar’s Hotel & Cafe Bar – Spring Criterium Series. Three divisions raced on the damp, yet safe Victoria Park circuit. A small Division 3 field was immediately a three-man affair as Roger McMillan, Phil McLennan and Steve Linane rode off in search of warmth. Trial rider Kathy Wood enjoyed a safe “first race” experience with chaperone Dean Wells at her side. The race ahead saw Linane too classy in the sprint for the finish. 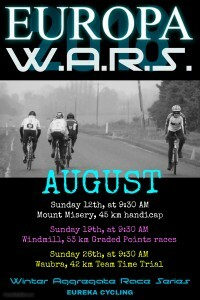 Division 2 fielded eleven riders with a mix of talents and race fitness. Visiting Geelong & Surf Coast CC rider – Marcus Coppock – was suitably impressed with the track surface, however the “ski-field” temperature was less to his liking. Jeremy Vanderklift was often on the front, being closely marked by the likes of Matt Ayres, Peter Gunston and Bob Morley. Tempo laps was just what the doctor ordered for James Gretton and Mark O’Callaghan. New rider Ben Davies was keen to flex some muscle and Gary Wheeler and Dan Whelan were also hiding in the bunch somewhere. None of them were any match for Brian Ure who unleashed his sprint early in the straight, created the gap and comfortably held it to the line. A classy line up in Division 1 with seven dual BSCC/Eureka licence holders lining up. Action aplenty as well with Brett Martin, Tim Canny and Sam Smith all providing something to chase. Rob Ellis acquitted himself well in his return to racing. Tony Mirabella and Greg Ley made sure they held good positions. Andrew Sullivan and Craig Lee marked every attack. Jason Hendry was once again impressive. This raw talent is a little bit scary in how quickly he has progressed. Smith got away with a lap and a half to go and held it all the way to the line as his adoring cheer squad screamed out “Go Daddy!”. He won easy and the sprint for the minor placings was exciting as the field ripped apart. Lee claimed *second just ahead of Hendry with Canny fourth. 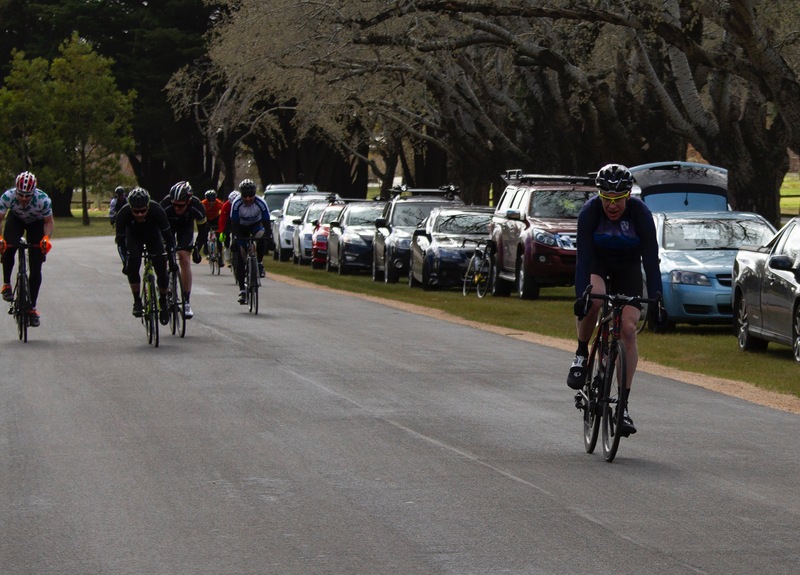 Cool and overcast conditions greeted riders as they arrived at Learmonth for the first challenge of the spring. Some riders were emerging after their winter hibernation and were shocked to see just what few clothes the hard nuts who had raced during the cold months were wearing. Big thanks to Grant Dawson and Steve Biram who drove up from Bacchus Marsh for corner duty, then stuck around to do the dishes and sweep the floors. All jokes aside, thank you to the farmer who rode up to start line to inform us that the road was clear of livestock! A super small field with Phil McLennan assuming the road captain duties. He was joined by two new riders – Bill Dwyer and Gary Wheeler. The race referee assured Phil that there were so many marshals, he could not possibly get lost. “Challenge accepted” replied Phil, then they were away. Phil lead the way into the wind like an old hand. He had the “newbies” rotating through and everything was going well until the climb up to the turnaround at Mount Beckworth. Dwyer struggled with the head wind and the other two got their break. With the tail wind and gravity assistance – McLennan and Wheeler opened an insurmountable gap. McLennan was confident, however Wheeler was cunning enough to launch early for the line. He won in a trot. Basically a Division 2 bunch with three Division 3 riders…but who was who? Jeremy Humber, Ash Burke, Dan Whelan, Pete Livitsanis, Bob Morley, Craig Lightfoot and Rob Phillips rolled up to the start line. Livitsanis took off like a rocket and gapped the bunch. He pulled a gap of 500 metres, however wise old heads wondered at his logic and just let him go. Phillips gave it a bit of a squirt on the first hill and all were up to it. That burst closed the gap to Fifi and he rejoined around the corner. Phillips wound it up again up the hill past the quarry just to make sure the handicapper did not get back on. Through Blowhard and the head wind was a slog to the turnaround. Whelan hit out up the rise. This tactic normally works with the Division 3 riders, but this field didn’t even get out of the seat. Onto Donovan’s Road and it would be a fast finish with the tail wind. Over the rise together and everyone was watching everyone with no one willing to commit to a long range attack. Lightfoot was on the front again as they came inside the final kilometre. He swung to the right of the road and was being watched. Then the torch was lit and as one the sprint was on. “The big Mig” Phillips got out of the seat and upped the wattage. He raced to the lead, but Humber was quickly onto it and hit the gas. It was a match race. Humber hard against the gutter with Phillips leading out in the middle. Lightfoot was caught out wide and had to switch wheels to find some clean air. Once free, he dived for Phillips wheel. Burke was also caught up in the wash before finding some open road late. Phillips still had 3/4 length on Humber at the line. Birch noticed a tyre issue going past the quarry the second time and was soon out of the race. Into the headwind through Coghill’s Creek and the pace was fair without being overly challenging. Five riders intact…when would the fun begin? The Mount Beckworth climb starts from the bridge crossing in Coghill’s Creek. The “steep” bit is a mere 4%, however with a head wind all the way, that little kick can be all the difference…and so it was. Brien was congratulating himself on still being in the pack as they started the climb in earnest. One hundred metres later he was off the back and gone. Ogilvie had applied the pressure and a strong response was required. On this day, the attacks came in a flurry. Mirabella hit out first after the turnaround. The chasers reeled him in and Martin went…pushing 3000 Watts, although this number is currently being disputed. Ogilvie was next to go. He attacked a few times in a row with sufficient effect to dislodge Lee. A slight lull allowed Lee to claw his way back, however Ogilvie and Martin kept up the efforts until well into the home straight. Ogilvie finally stole a break on the field and won with hands aloft for his adoring fan club who vigorously cheered their Daddy home. 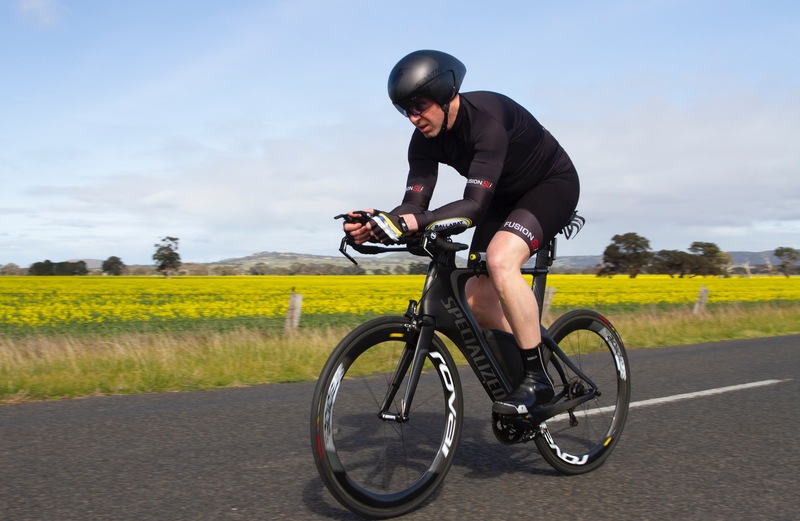 A mixed bag for riders contesting the 2018 KREHALON Australia Time Trial Championships at Balliang. Stephen Lane (Northern) scorched around the circuit to claim the M35-39 title as well as Fastest Time of the day. Lane turned the tables on arch rival James Ogilvie (Eastern) who had claimed the Australian title at Maryborough during easter. 32 seconds separated the pair at the line – we’ll have fun watching this unfold over the next few years! A great effort by Eureka’s Jason Hendry – he collected bronze in the category and also finished with the tenth fastest time on the day for the 30 Km event. 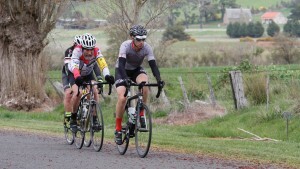 Michael Borowski won M40-44 in a canter from fellow Northern rider Luke Medhurst. Eureka’s Mark O’Callaghan collected bronze. Eureka’s Gary Beazley claimed bronze in the M55-59 category, which was won by Colin Doherty (Eastern). James Knipe (Eureka) did not make the start line on this day. Jacqui Dawson (Eureka) picked up a silver for her effort in W45-49. No time trial specific bike for Jac! Just a regular setup and a determined face contortion! The hard luck story of the day goes to Terry Collie, who was rather disappointed with his mechanic for forgetting to swap his transponder from his regular race bike to his time trial setup. Unfortunately a DNF alongside Terry’s name, instead of his time which would have netted him a medal on the day in M70-74, which Myles Higgins (Goulburn Valley) won.